Summary: Peter guarantees the content of the Christian Faith and the believer’s salvation with “something more sure” than his own eyewitness account and that of the other apostles — “the prophetic word” of the Christ throughout the pages of Holy Scripture. Text: For we did not follow cleverly devised myths when we made known to you the power and coming of our Lord Jesus Christ, but we were eyewitnesses of his majesty. 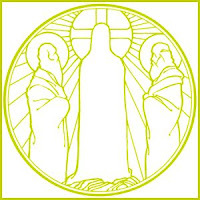 For when he received honor and glory from God the Father, and the voice was borne to him by the Majestic Glory, “This is my beloved Son, with whom I am well pleased,” we ourselves heard this very voice borne from heaven, for we were with him on the holy mountain. 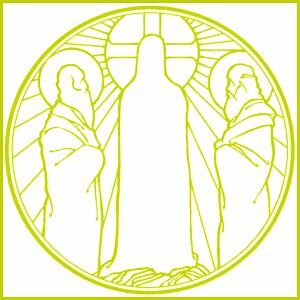 Audio: Click to hear MP3 of Something More Sure, the Sermon for 6 March AD 2011, Preached for the International Service at Saint Saint Paul Lutheran High School, Concordia, Missouri. Note: While certainly a Lutheran educational institution, St. Paul Lutheran High School is also a mission field. Not only does it admit academically qualified Lutherans, the school also welcomes a number of other Christians as well as non-Christians — even some atheists. A high percentage of students come from other lands, so the International Service is tailored to the age of its hearers, while remaining mindful of those unskilled with English, uncomfortable with Christianity, or both. Present this day were American students and those born in Russia, Slovakia, Norway, China, Papua New Guinea, Japan, Vietnam, Thailand, and elsewhere.